Stylish and suitably constructed for modern bathrooms, the Belgravia Crosshead High-neck Monobloc Basin Mixer Tap is graceful and efficient. 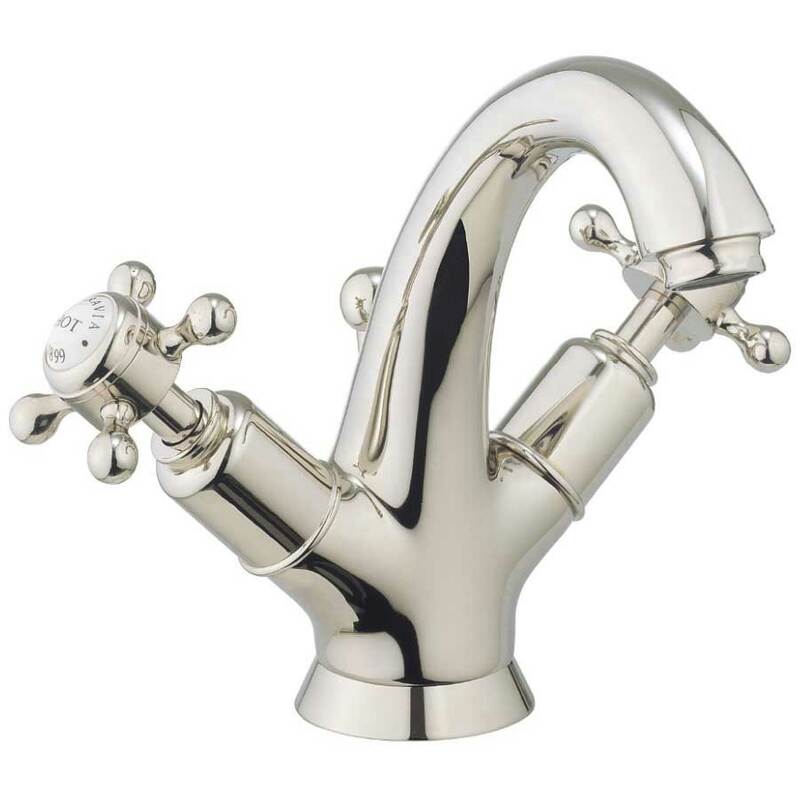 It comes with an appealing nickel finish or chrome finish to suitably glam-up the space. Its smooth contours are a tasteful blend of tradition and modernity and have immense visual appeal. 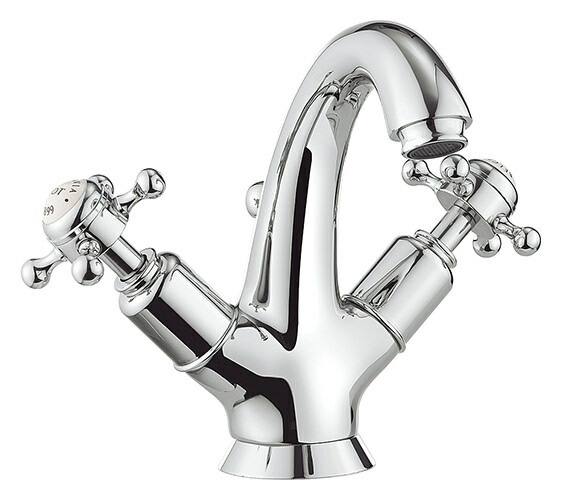 It features a pop-up waste and comes with crosshead handles with white glazed ceramic temperature indices. Ideal for low water pressure systems, it requires minimum 0.2 bar water pressure for smooth functioning. Crafted from high-grade brass it is durable, easy to install and maintain and is covered by a guarantee of 15 years against any defect in material or manufacturing. 15 year guarantee from the manufacturer against any manufacturing defects. 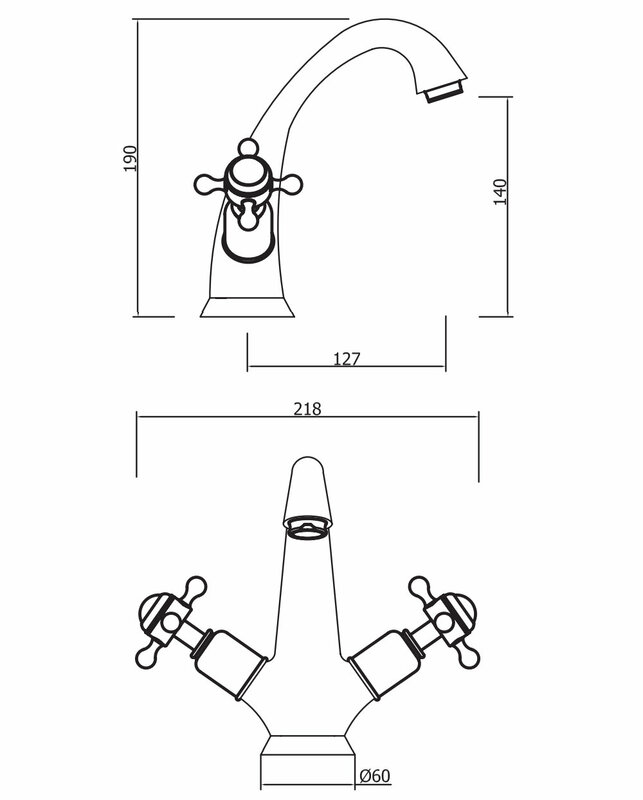 With Lever Handle - BL112DPC_LV.